Leo has been part of one of the most important beauty projects in the world and is known for his avant-garde style and the ability to reinvent himself with each of his collections. Leo recently designed the Miss Universe collection worn by the representative from Mexico, Josselyn Garciglia, in Miami. Although he was born in Sinaloa, Leo considers himself a “paceño at heart” because he has lived in La Paz since he was a boy. His favorite pastime is hanging out with friends and strolling the boardwalk. Leo understands that everyone interprets fashion differently. For him, design is his mean of expression. Art has always been a part of Leo’s life. At one point he was even interested in architecture and painting. 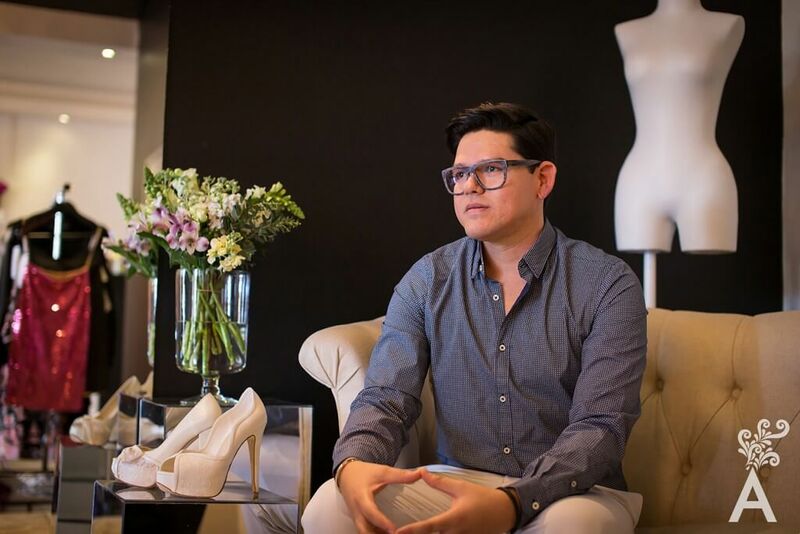 At 15 years of age, he found his vocation and entered the Center for Design and Fashion Studio Atelier in La Paz. His mentor, Nadine Escobedo, was one of the people who influenced and encouraged Leo from the beginning of his career. Leo’s designs emphasize femininity and romanticism. He strives to flatter the body and enhance the beauty of every woman. To stay ahead and to please those who like to dress well, he has to constantly come up with new ideas from casual to elegant. Presenting his work in the city of La Paz and overcoming his fears have been his biggest challenges. Leo’s favorite design is the first dress he made to advertise to brides in Italy with the top model Daniela de Jesus. He still has the dress. Another is the gold dress worn by Josselyn Garciglia in the Miss Universe 2014 competition. Leo has been a sponsor of Miss Baja California Sur for three years, and he was the designer for Miss World Mexico too. After a few meetings with Lupita Jones, Leo became the designer for Josselyn, with whom he has a great friendship. He has worked in fashion with great public acceptance due to his perfect collections and through designs that emphasize glamor and exclusivity as the main elements. Leo says he is now venturing into custom wedding dresses. The process excites him. It is an opportunity to create a unique design for that big day. One of Leo’s future goals is national exposure and the opening of an online store. He remains governed by the values of confidence and perseverance.